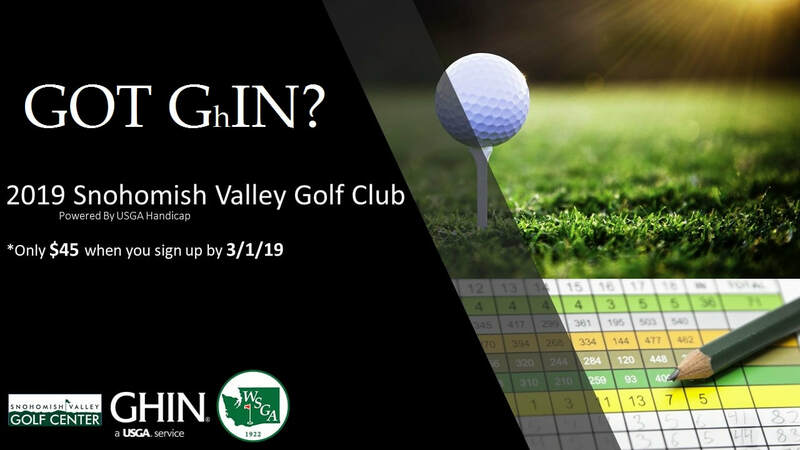 New for 2019, you can register your handicap through us and be apart of the INAUGURAL Snohomish Valley Golf Club. You will have access to play in our Snohomish Valley Golf Club events for 2019 (to be announced). We will travel to area courses and have different competitions - mostly team events. We hope to establish a Men's Club and Women's Club as well as family friendly events and much more!